New large 10 oz can! Detector cleaning is a specialist activity that involves more than just a wipe and a blow. An inherent part of it is, however usually the clearing of dust or other solid contaminants. A7 has been developed specifically for this purpose – with a particularly high velocity burst and non-flammable formulation. Case of 12. 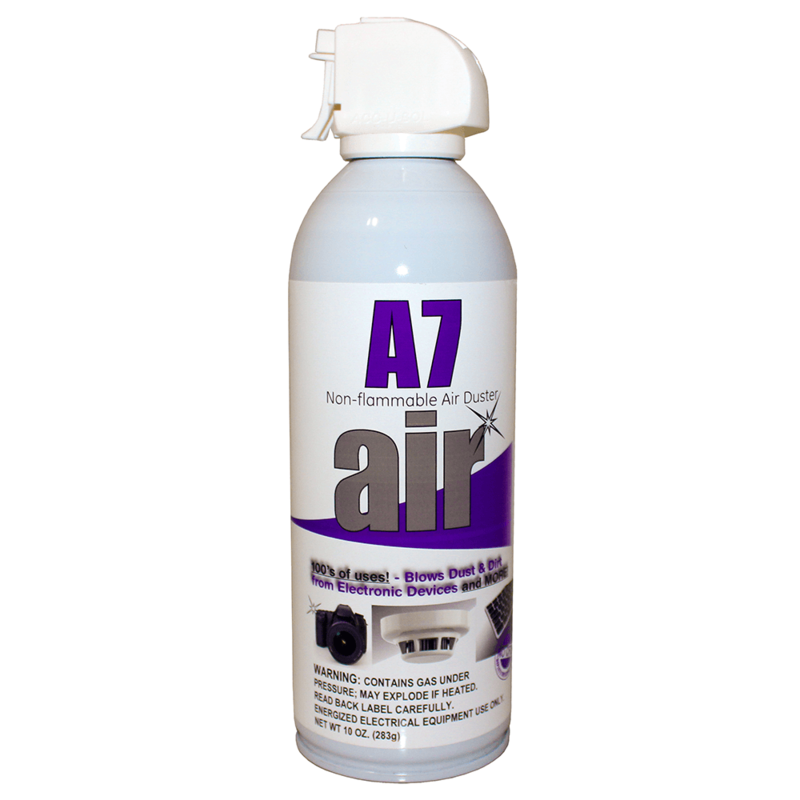 Solo A7 detector duster is ideal for the cleaning of detectors from the dust and dirt that can collect on detector surfaces. Case of 12.